I'm always happy when Friday gets here but it's extra good after a Thursday night college basketball game where my alma mater, the University of Utah, blew out Arizona State 83-41. This morning brought us a few bits of economic data - mixed again, as usual. GDP was adjusted downward from 2.6 to 2.2 but since it was above expectations of 2.1, this is tempering gains that would otherwise be higher based on the other economic data. The Chicago Purchasing Manager's index was a HUGE miss at 45.8 vs. expectations of 58 and previous of 59.4 - there would be a lot more bond buying because of this if it weren't for the slight upside surprise of the GDP. Another thing helping the market this morning is consumer sentiment index which came in at 95.4 vs. expectations of 94 but a few points below the previous reading of 98.1. Finally, pending home sales disappoint with a reading of 1.7 vs. expectations of 2.4 but better than the previous reading of -3.7. 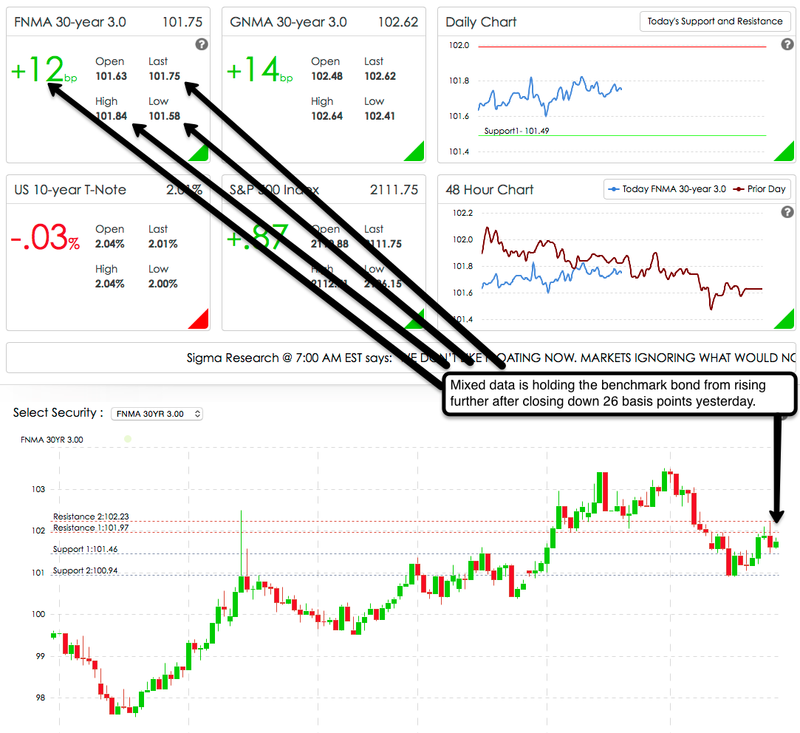 A quick check of the bond market shows that the benchmark bond is at its high for the day, currently up 23 basis points at 101.86 - 11 basis points below the first resistance level. Next week: As you know if you've been reading my posts, the first week of every month is a big week for economic data with ADP Private Payrolls on Wednesday, Jobless Claims on Thursday and Non-Farm Payrolls and the unemployment rate on Friday. All of these, especially the last two, can impact rates in a big way. There are also several other data points for the week but we'll get to those on a daily basis. Contact me if I can help with a mortgage - 702-812-1214. Make it a great day and a better weekend.